This kit protects receiver during removal or replacement of barrel assembly. 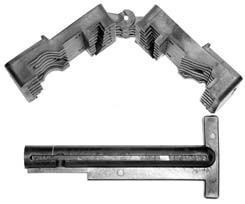 Totally eliminates any possibility of damage to barrel index pin, or receiver index notch. Fits most models of AR-15/M-16 receivers.